Ask any top Stamford criminal defense attorney and they will agree that while the legislature has taken significant steps in recent years to soften the penalties for simple possession of small quantities of marijuana and narcotics the penalties for the sale, trafficking in or distribution of drugs remains as severe as ever. The penalty for the sale, distribution or trafficking in drugs can go up to life in prison depending on the circumstances. Any conviction for the sale, distribution, or trafficking of drugs is a serious felony and will carry with it not only the possibility of lengthy jail terms but long periods of probation. These type of convictions can have lifelong detrimental effects on your ability to secure employment and even find a place to live. For this reason any charge or allegation involving the sale or distribution of drugs must be treated very seriously and you should contact a Stamford drug crimes attorney as soon as possible. Do not answer any questions or allow Police to search your home without an arrest warrant. It is shocking how many major drug dusts are made as a result of confessions on the part of the accused defendants. The best course of action is always to tell the Police that you want to speak with an attorney before you answer any questions – or – agree to “cooperate” by doing controlled purchases and or wearing a “wire.” You should not enter into any “deals” to cooperate with Police until you have retained an attorney to get commitments in writing from the Police about what they are willing to provide in exchange for your cooperation. You should contact an experienced Stamford criminal defense lawyer to review the details concerning your case and take immediate action to protect your rights. A top Stamford drug defense attorney at the Law Offices of Allan F. Friedman will explore every possible alternative disposition to obtain the best possible outcome of the allegations against you whether it be by obtaining a favorable plea bargain or taking the case to trial. We are available to help you 24 hours a day 365 days a year. Call 203.515.4110. Attorney Friedman has been serving Stamford for 25 years handling all kinds of drug crimes including cases involving simple possession, drug factory, and possession with intent to sell. Attorney Friedman is ready to provide the tenacious, aggressive and results driven legal defense that your drug case deserves. The sale, distribution or trafficking in drugs remains a very serious offense in the State of Connecticut. Under certain circumstances you can face up to a life term in prison for a violation of this statute. This particular statute is particularly complex and nuanced. The statue requires a lot of technical analysis and application of the facts of any given case into the language of the statute. If you are facing a charge of 21a-278a you should come in for a free initial consultation and have an experienced Stamford drug crimes attorney review the strengths and weakness or your case. Sadly under the present state of the law in Connecticut there is no minimum amount of drugs that you need to be caught selling to face a mandatory minimum jail sentence. Our jails are filled with thousands of drug offenders who were caught making low level drug sale of a small quantity of drugs to support their own person drug habit. If you sell any quality of cocaine, heroin or other narcotic or hallucinogenic substance you face as a first time offender a jail terms for up to 15 years and or a fine or up to $50,000. This harsh penalty will apply to you regardless of how tiny the amount of the drugs you sold was. In situations where an individual who is considered “nondrug dependent” if they are caught selling a larger quantity of drugs then the penalties become much more severe. The penalty for the sale or distribution of more than one ounce of heroin or one half ounce of cocaine is punishable by a mandatory minimum 5 years in prison and up to 20 years in prison and a maximum of life in prison. In cases where sales are made within 1500’ of a school, day care center or public housing project you face an additional mandatory minimum 3 years of jail time running consecutively to the time imposed in the underlying drug sale crime. In many urban areas, there are few areas that do not fall within 1500’ of a school, housing project or day care center which makes this a law which disproportionately effects minority groups. Obviously these are very serious allegations and they require your full attention. Nothing but the finest and most dedicated and focused legal defense should be employed in situations like these to try to find any defect or weakness in the State’s case which as an unconstitutional stop or seizure which can lead to the exclusion of evidence. You should get in immediate contact with a Stamford drug crimes attorney. Was anyone else with you when you were arrested? Prior use of drug education programs? Quantity seized and way they were packaged? Did The Police ask for permission before looking for the drugs? Did the Police have a search warrant? Would you be willing to participate in in drug treatment? After a thorough review of these factors we can then be in a position to provide an effective and meaningful evaluation of your case and ascertain what would be the best defense strategies to use to defend you against the allegations you are facing. 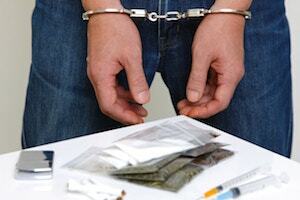 Contact a Stamford Drug Crimes Attorney Today! If you have been charged with a drug offense in Fairfield County, Attorney Allan F. Friedman will take the time to answer all of your questions and give you sound legal advice. Attorney Friedman will work hard to put together a winning defense strategy to defend you. He provides each of his clients with personal attention and clear communication, and his rates are reasonable and he offers payment plans. Stamford drug crimes defense attorney Allan F. Friedman also represents people in Norwalk, Darien, Weston, Greenwich, Bridgeport, Westport, Fairfield, Wilton, Cos Cob, New Canaan, and Easton among other Connecticut cities. Call us at 203.515.4110 or contact us via our online form to schedule an appointment.